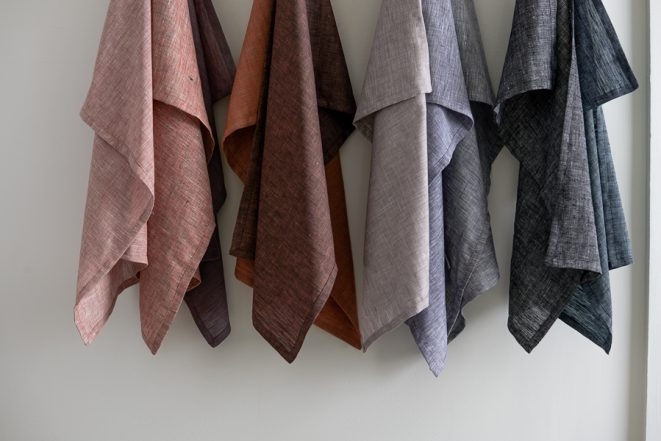 Linen dishtowels are an everyday kitchen essential: soft, absorbent, and useful. 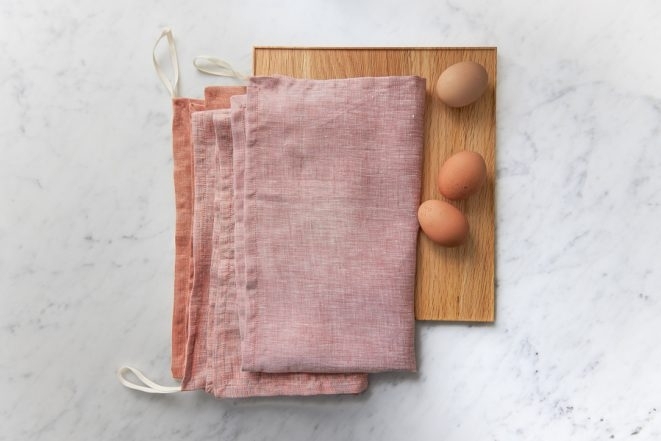 If you are going to use something every day it may as well be beautiful, and that’s where our Classic Mitered Corner Dishtowels in Watercolor Linen come in! 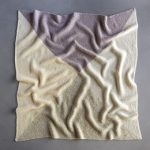 This pattern is easy to follow with a video to demonstrate the mitered corner step. 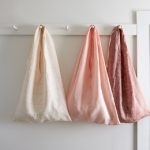 Each dishtowel comes together neatly and quickly and has a hanging loop cleverly tucked into one corner. 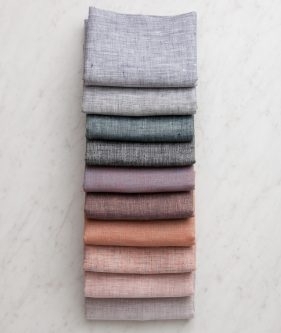 A Watercolor Linen Bundle, 10 Fat Quarters. We used the palette called Moody. 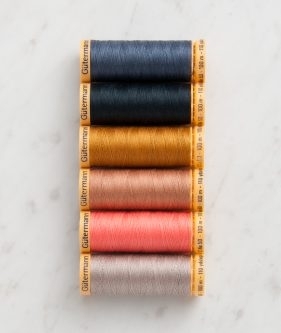 A Cotton Sewing Thread Bundle to match the fat quarters. We used Moody. 2 yards of Studio Carta’s Fettuccia Ribbon, ¼ inch. We used Natural. 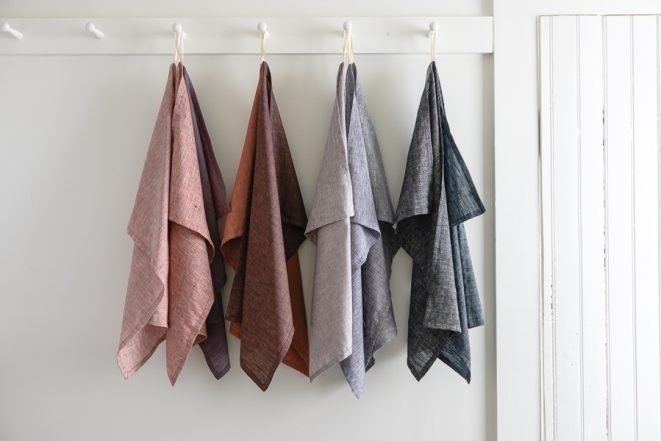 For the step-by-step pattern and video, please visit our original Classic Mitered Corner Dishtowels story here. Do you prewash the linen? Thank you for your question! 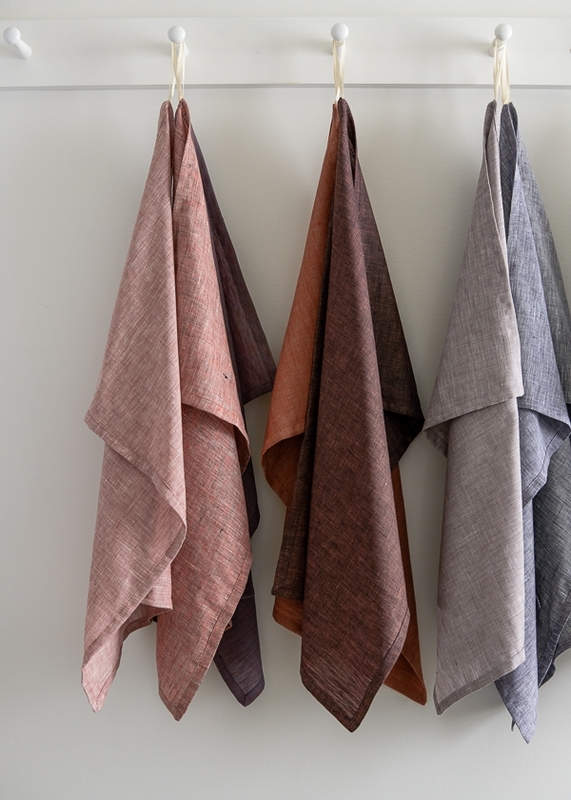 Yes, we recommend that you prewash, dry, and iron the fabric before starting. Please let us know if you have further questions and thank you for writing in! I have been a fan of your beautiful, contemporary and elegant site and projects for a very long time. 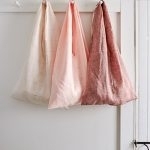 But I’ve always wondered when I see linen projects for the kitchen. 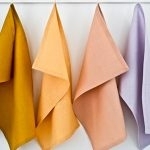 Is linen really absorbent? 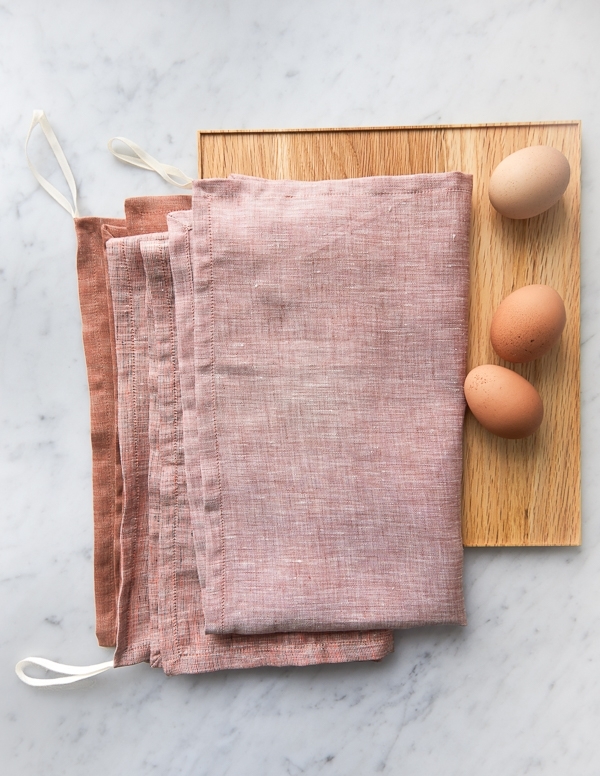 Am I going to be able to dry a dish with these beautiful dish towels? If anybody has done this, can you please let me know how well they work? Thank you and please continue making such quality and elegant work. It is greatly appreciated. Thanks for writing in! 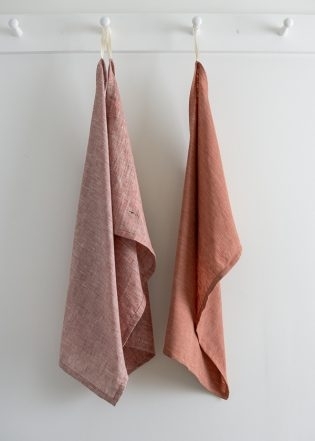 I have made a host of these lovely dishtowels over the years and I find that they work well for just about all of the kitchen needs including drying dishes! I hope that this helps and thank you for your kind words!